What's the best way to collect all the information about your event and distribute it to people? A website, of course! Lyyti's event page is easy to publish, and there's no programming skill involved. Create as many tabs as you like, one of them is always your registration form. What's suitable content for an event page? The list goes on! Only your imagination is the limit here. As soon as your Lyyti user account has a custom made layout set up, you can start making event pages. It's fast and easy: the event page is built in an editor that looks and works just like any message or text editor in Lyyti. If you know how to work Lyyti, you know how to make an event page! 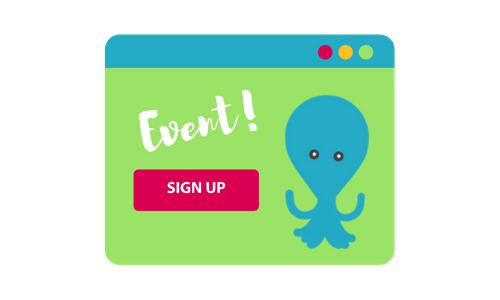 Click here to view examples of both event pages and registration page layouts! Lyyti's smart category system allows for the use of an event calendar. Whatever your need, be it weekly meetings or a training schedule, there's a tailored solution. The layout is customized to fit the purpose, too.